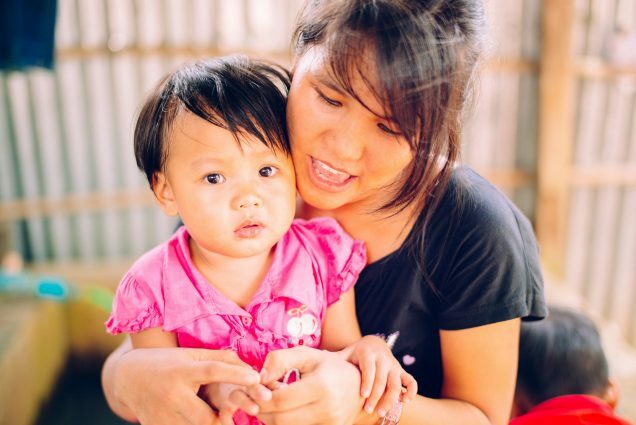 Photo: One of our caregivers plays with a young child at our main campus orphan home. We are happy to report that our Myanmar native team has begun work to open a preschool set to launch in May of next year. While also providing valuable education to our orphan home children, the preschool will give us another step toward sustainability for our programs by receiving tuition payments from neighborhood families who can afford to pay. We also hope that the preschool will help our team build more harmony with neighbors in the community. We will initially have 20 students (ages 3-5 years), 2 teachers, and 1 staff member who will function as a teaching assistant and a cook. Our goal is to reach as many children as possible in the future, with a 1:10 ratio of children to teachers, and to hire more staff members. Another part of our vision is for the preschool to solve the problem of unemployment among those in our local community as we are able to hire more teachers and staff. In addition to some seed funds already provided, we are seeking to raise an additional $6,520 to build the preschool. 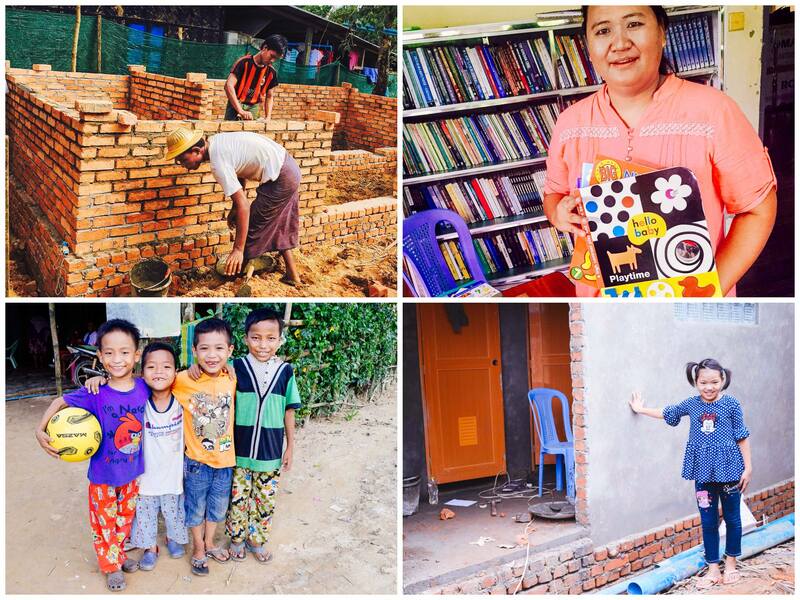 We believe the school will become a reputable foundation of quality education for young children in Myanmar. This sum will enable us to build the preschool, and purchase an air conditioning unit, chairs, tables for the classroom, tables for the dining area, blankets and pillows for nap time, games for playtime, and uniforms for the children. We will initially hold classes for the children from 8:00 am – 4:00 pm in our team’s church building until the the construction of the preschool is completed. Photo inset: (Top-left): Workers recently started on the beginning phases of construction of the restroom expansion at our main campus. (Top-right): A team member shops for books for the new preschool. (Bottom-left): Boys at one of our orphan homes take a quick break from playing football (soccer). (Bottom-right): One of the girls who lives at our main campus orphan home can’t wait for construction to be completed on the new restrooms. Thanks to your generosity, our bathroom expansion project is also underway on our main campus — it’s one of the steps we’re taking to prepare for the preschool. We are building 4 private toilets and 1 common bathroom. The new restroom facilities will serve both our children’s home and the preschool. This project is a blessing to the children because they currently have to stand in line to use the bathroom. But once the bathroom expansion is complete, they won’t have to wait on each other any longer. In all of these measures, we strive to go beyond rescue to rehabilitation and restoration, through education and proper equipping, and through providing the orphans with loving, nurturing home environments. One can only imagine the exponential impact these children will make in the world as they eventually graduate and go on to lead successful, productive lives.